This essay is dedicated in memory of Rosa Meth who rebuilt despite losing her family in the Shoah . Remembered by her daughter, grandchildren and great-grandchildren. A few years ago, a Scotsman came to my house and told me he felt he had sinned against the Jewish nation and that he had been directed to my address to seek guidance. What had he done? On a visit to Auschwitz, whilst he stood at the site of the gas chambers and crematoria, he had picked up a small pebble from the ground and brought it home as a souvenir. Subsequently, however, his conscience pricked him day and night, because he felt this stone was sacred to the Jewish people, as part of the site of their suffering, and he had removed it from its place. I told him that I would take it and deal with it in the correct way and he should no longer worry. Aware that this pebble had no requirement of burial, I wondered nevertheless what should be done. On a visit to my Rosh Yeshivah, Rabbi Dovid Soloveitchik of Brisk, Jerusalem, I sought his advice on the matter. Not known for approaching things with undue sentimentality, he sat deep in thought for several minutes. Then, with a voice full of feeling, he stated the following: It is written in the Talmud that in the future time of Judgement, the beams and stones of a person’s house will testify as to what has gone on inside that home. We see from here that even the inanimate materials of a building have a task in this world, to act as a constant witness. This stone forms part of the site of suffering of the Jewish people. Put it back and let it fulfil its purpose of being God’s witness to the atrocities perpetrated there. 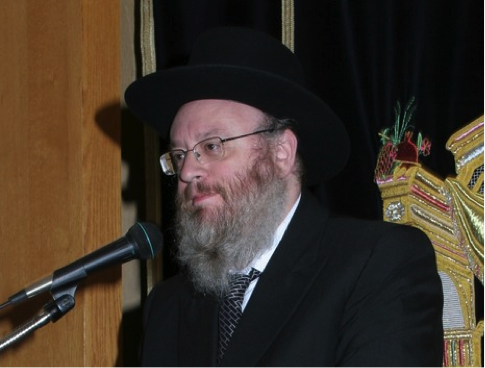 Rabbi Shraga Feivel Halevy Zimmerman is the Chief Rabbi or av beis din of the Jewish community in Gateshead, United Kingdom. He took up his appointment in 2008, in succession to Rabbi Bezalel Rakow, who died in 2003. He served previously as rabbi to a community in Monsey, USA. Rabbi Zimmerman is an alumnus of the Mirrer yeshiva and a close disciple of Rabbi Meshulam Dovid Soloveitchik. He has previously been a dayan in K’hal Adath Jeshurun, the Haredi community of Washington Heights, Manhattan, and served as the rabbi of its Monsey community. He is a grandson of Rabbi Yosef Yonah Tsvi Horowitz, rabbi of Unsdorf and Frankfurt and in Letchworth during the war years. The MS St. Louis sets sail. The MS St. Louis was a German ocean liner most notable for a single voyage in 1939, in which her captain, Gustav Schröder, tried to find homes for 915 German refugees, after they were denied entry to Cuba, the United States and Canada, until finally accepted in various European countries, which were later engulfed in World War II. 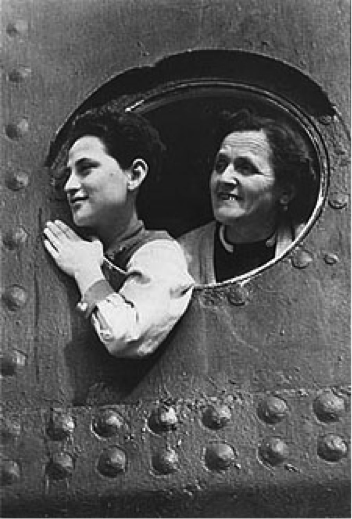 Historians have estimated that, after their return to Europe, approximately a quarter of the ship’s passengers died in concentration camps. 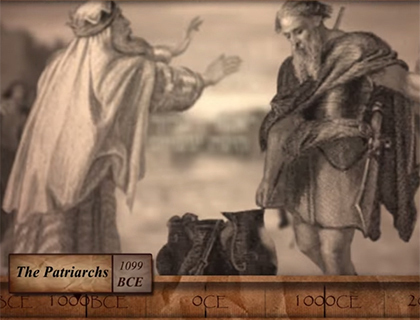 4000 years of history in 4 minutes.